further cement economic and academic relations with Saudi Arabia. He said both countries were at one page on major issues including Kashmir, Palestine and Middle East. The minister thanked management of conference for organizing such moot. working in Saudia, have also played vital role in progress of the country, he added. He said sanctity of Harmain Sharaifain was integral part of the faith of every Pakistani Muslim. Over 2,00,000 Pakistanis perform hajj every year, while 2.5 million Pakistanis perform Umrah every year, he added. Earlier, Ulema and leaders of different political parties eulogized Saudi Arabia for helping the country.Saudi Arabia always helped Pakistan irrespective of government,they added. Saudi Arabia did extend support sans any condition, they said. The speakers urged Ulema to imbibe true love of Harmain Sharafian among new generation. Saudi Arabia has always played proactive role to steer the country from out of economic crisis, they added. They urged Ulema and politicians to forge unity for strengthening bilateral relations. Chairman Council of Islamic Ideology Dr Qibla Ayaz said the representatives of different political parties have unanimously paid tributes to Saudi Arabia for helping Pakistan and vowed to protect and ensure sanctity of Harmain Sharafain. General ecretary Dafa-e-Pakistan Council Maulana Fazur Rehman Khalil said Pakistan Saudi Arabia had spiritual bond and relations. 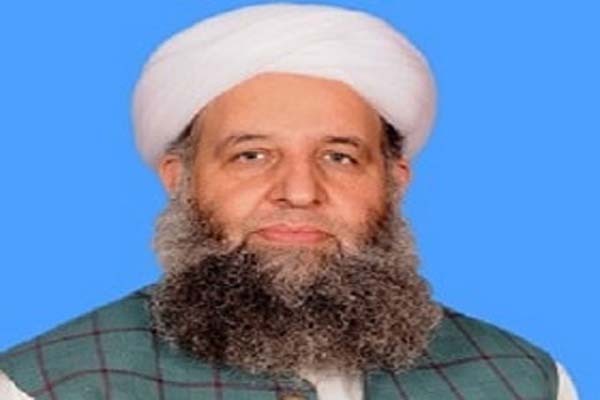 Chairman Senate Standing Committee on Religious Affairs and Interfaith Harmony Senator Maulana Abdul Ghafoor Haideri said Pakistan and Saudi Arabia were enjoying cordial relations.